An illustrated guide to changing your difficult relationship with religion from the author of 'How to Find the Way Out when in Despair'. Ever felt confused about religious belief but reluctant to question it? Ever considered that religious beliefs may in fact be less than wholesome, but weren’t sure how to ponder them? Well this book will help. Written by someone who attended religious schools all his life, studied theology, and was a committed believer for many years, the author will walk you through his journey from belief to full-blown scepticism. Easy-to-read, and containing over 200 drawings, this book will help give you clarity of mind and a sense of liberation allowing you to move forward in life with new found confidence and self-acceptance. 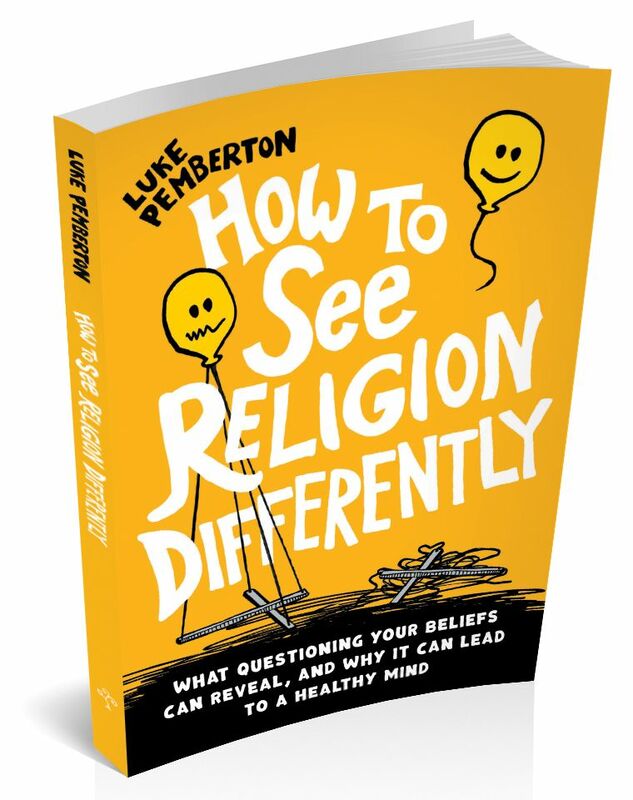 Pick up a copy of How to See Religion Differently today and see why it’s better to be an amazing primate than a fallen angel, why religion is like a teddy bear, why God would be unfriended on social media today, and why religion should fall foul of advertising standard guidelines. How to Sort Your Religious Head Out is available as an ebook on Kindle, Nook, iBooks and more. Luke Pemberton is an independent author of How to Find Your Way Out When In Despair: a Guide to Rediscovering Your Self-Worth, and How To Sort Your Head Out: Build Your Self-Esteem by Understanding Your Emotional Fears, in which he maps out his own experience of recovering from emotional despair through a series of over 400 drawings. This is his third book. Prior to attempting the perils of writing for a living, he worked in the political department of an international diplomatic organisation dealing with armed conflicts and other international issues. Download a copy of the author's Advance Information here.